With summer in full swing, it's hard not to have your inner hostess with the mostess come out! 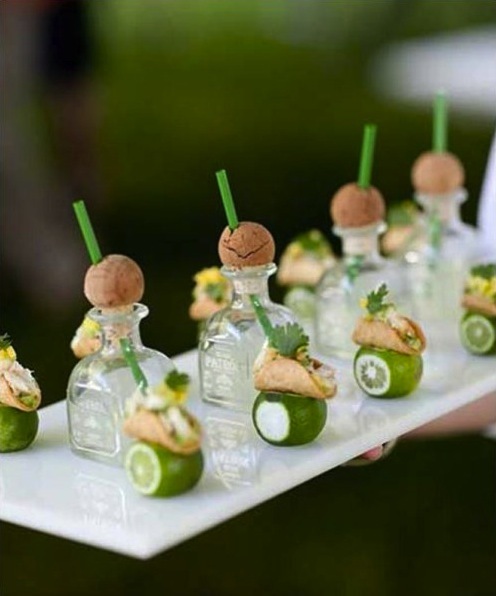 Aren't these delightful miniature libations and tacos such a darling treat to serve at your next weekend getaway in the Hamptons? Here's hoping it's a long, long weekend! These are so cute, and they look like they'd be delicious too! Very creative!